Ready for the Melbourne International Jazz Festival Summer Sessions? 2016 is here and it is already looking very promising, as it starts with a bang: the Melbourne International Jazz Festival Summer Sessions are back, with a line-up that competes with the weather in terms of hotness. The roster does real justice to the ‘international’ part of its title, as it features musicians from four continents: Europe, Africa, Asia and, of course, our own little corner of the world. The summer sesions will kick off on the weekend of 9 and 10 January with two performances by the great Vince Jones and his quartet, but it’s the following week that it will actually take off, with a four day series of concerts by international champions and local heroes. 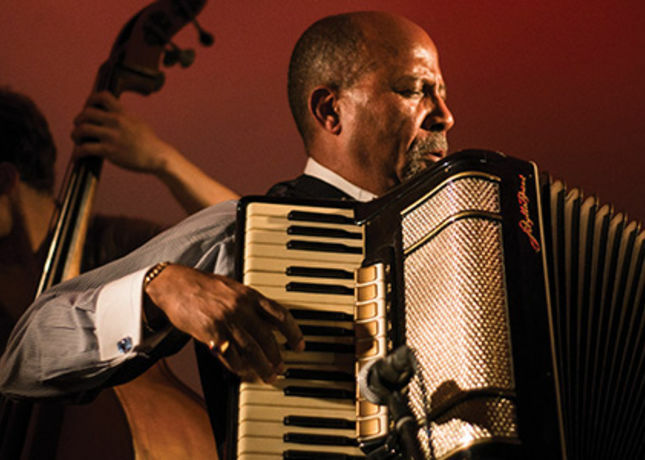 Among them, Hailu Mergia stands out; the Ethiopian master is back in perfect form, gaining momentum, as his sole recording, ‘Hailu Mergia and His Classical Instrument’ was unearthed in Ethiopia nearly 30 years later by Brian Shimkovitz of blog-turned-record-label Awesome Tapes from Africa. Joining him on stage will be two leading Berlin-based Australian improvisors: bassist Mike Majkowski and drummer Tony Buck (The Necks). As far as international collaborations go, few can compete with Kaze. The Japanese/ French quartet offers a refreshing, fearless, absolutely modern take on Free Jazz that is leaving anyone attending their concerts speechless. Equally fearless are Swooping Duck, a.k.a. Bender, Pez & Simon, aka the Hiatus Kaiyote rhythm section, moonlighting as a trio of daring improvisers. Another daring improviser will be honored in these summer sessions: the late, great David Ades, whose swan song, A Life in a Day was released by Julien Wilson’s lionshare records to – deservedly – great reviews. Wilson and Zac Hurren will get on stage with Sam Anning and David Fischer, in a fiery, emotional tribute to Ades and his music. Anyone who saw them in Wangaratta can confirm that this is not a gig to be missed.